No Baby Boomer, or anyone born later, has ever experienced a serious Aquarius sub-period of the Age of Aquarius. When some Baby Boomers turned on, tuned in and dropped out in the 1960s and 70s they were not responding to the new Age of Aquarius, they were mainly responding to the 1970 peak of the Scorpio sub-age and overflow (1791 – 1970 – 2148). The combination of revolutionary Scorpio and revolutionary Aquarius produced a major shakeup of mainly western culture and the ripples of this cultural shakeup are still strongly affecting society today. The latest example is the recent confirmation by the US Supreme Court of the nation-wide legalization of gay marriage. This ruling is also an early example of the new Aquarius micro-age decan and overflow. The new Aquarius micro-age decan (Dec 2014 – Dec 2019) is the first micro-age decan of the new Gemini micro-age (Dec 2014 – Nov 2029) which resides in the Libra sub-age (1970 – 2148) – the forth sub-age in the Age of Aquarius. For an explanation of the sub-periods of the astrological ages, see the Details of the Age of Aquarius for Dummies. Why should gays have an easy time in an Aquarius micro-age decan? Aquarius is an extremist sign, and so it places a focus on the outliers of the bell curve, not the mainstream majority. Any group or sub-culture that is different, eccentric or on the fringe is favored by Aquarius – and this includes homosexuals. Under Aquarius minorities can temporarily swing the mainstream their way. This has mixed results as there is no guarantee the minority group is forward thinking with a positive effect upon society. For example, any examination of the last Aquarius micro-age (1910 – 25) reveals the ability of the fringe Bolsheviks in Russia to take over their government and commence the worldwide communist revolution. The world is not even past the one year mark of the current Aquarius micro-age decan and already it has stamped its mark upon an unsuspecting world. In the same way that the revolutionary peak of the Scorpio sub-age and overflow in the 1970s resonated with the revolutionary Age of Aquarius, so to the current revolutionary Aquarius micro-age decan resonates with the revolutionary Scorpio sub-age overflow (1970 – 2148). We are indeed in for some interesting times, especially in the Aquarius quasi micro-age decan (Jun 2017 – Jun 2022) which corresponds to the upper half of the Aquarius micro-age decan bell curve. What has occurred since December 2014 that points towards Aquarius apart from confirmation of gay marriage in the USA? One small but noteworthy item is the clearance given the propose law to the compulsory vaccination of children in California otherwise they will be prevented from attending public or private schools. This is an example of the coercive fascist side of Aquarius. On the other side is the legalization of gay marriage in Ireland in May 2015. On the serious negative side we have the Charlie Hebdo terrorist massacre in January 2015 which can be directly linked astrologically to the four ISIS inspired attacks in June including the deaths of 40 people at the Tunisian resort at Port El Kantaoui. Aquarius is the sign of radicals and revolutionaries. There will be more than just radicals and homosexuals associated with the current Aquarius micro-age decan. In the more advanced or evolved societies, the push will be towards progressive policies, and the legalization of gay marriage is just one such avenue. In the less evolved societies, there will be a tendency towards fascism of one sort or another. Countries like Russia, Thailand and much of Asia, Africa and South America will tend towards totalitarian autocratic type rule to solve their problems. The more entrenched democratic societies are generally protected from such autocratic tendencies but fascist anti- immigration groups will get more powerful and influential even in First World Countries over the coming decade. How will the Aquarius micro-age decan and overflow play out in the USA? Already Donald Trump has jumped on the fascist-leaning bandwagon with his declaration of virtual war against Mexicans. Fascism always tends to deal with issues in a black and white fashion exploiting populace views. The already polarized political spectrum in the USA will become more polarized. If on one extreme we have Donald Trump, on the other extreme we have Bernie Saunders nominating for the Democrats as their presidential candidate. Bernie is the perfect example of a progressive promoting the positive side of Aquarius. Hillary Clinton also pushes the Aquarius button as a female president of the USA is a progressive development. However in parallel with the progressive FDR, was the appearance of the Black Legion, which included in its membership serving members of the military and National Guard. This group was the most violent expression of organized opposition against FDR and his New Deal policies. The Black Legion openly acknowledged that they considered the president a threat and sought the overthrow of the government. The group primarily targeted Communists, blacks, Jews, and Catholics in the name of God for the protection of white Protestant America. The group was heavily associated with the Republican Party. The group was political, large, and took serious action, including lynching people, shooting murders, floggings, kidnappings, and general threats of violence against people and groups that they opposed. The Black Legion was also acting in accord with the interests of some corporations and actively assisted corporations in union busting and threatening labor organizers. The fascist way of describing corporations is to label them as anti-democratic dark forces of concentrated wealth, but this would be pure idiocy. Like nearly everything, there are two sides to corporations and business interests. The wealth and affluence we experience today is due to the successful wealth creation of corporations and business interests over the last few centuries. When communism banned corporations and private enterprise they not only threw the baby out with the bathwater, they threw out virtually the whole family. 20th century communism was an abject failure but people have difficulty with big picture perspective and therefore cannot see that the world pendulum has swung the other way and has arrived at extreme capitalism. While extreme capitalism continues to exist, it can sway and influence governments, governmental policies and laws and even more, as the Murdoch press did to the 2000 US elections in what could be regarded as the first corporate coup in the USA. Corporate heavyweights also planned a coup to topple FDR. 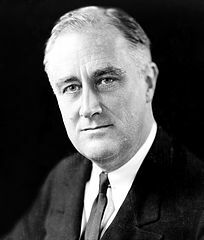 Despite the dark forces around him, FDR instituted many progressive reforms in the USA. Pushing back to previous Aquarius periods of note we arrive at the Aquarius micro-age decan and overflow (1851 – 1861) of the Gemini micro-age (1851 -1866). This is the same combination and arrangement as the current Aquarius micro-age decan. The 1850s in the USA was the decade of ‘Bleeding Kansas’ when a series of violent political confrontations between anti-slavery and pro-slavery elements took place mainly in the Kansas Territory between 1854 and 1861, exactly coincident with the Aquarius micro-age decan overflow (1856 – 1861) when this Aquarius period was at full strength. The heart of the conflict was the question of slavery. This conflict was a proxy war between anti-slavery forces in the North and pro-slavery forces from the South. This conflict presaged the Civil War (1861 to 1865) exactly coincident with the middle Libra micro-age decan overflow (1861 -1866) of the 19th century Gemini micro-age. This suggests that Libra is a dangerous sign for entrenched traditional elements in the USA and suggest the period 2024 to 2029 (again aligned to a Libra micro-age decan overflow) will be an extreme confrontational period in the USA. The seeds of this conflict should appear with the current Aquarius micro-age decan (2014 – 2019) and become bleeding obvious in the period 2019 – 2024. This does not suggest anything as extreme as a civil war, as the 19th century period occurred just past the 1851 peak of the Cancer sub-age decan and overflow (1791-1851-1910) with Cancer in opposition to the highly conservative Capricorn element high on the USA’s totem pole. Context is everything in macro-astrology. However the levels of opposition and bitterness will reach new heights. There is the possibility that another progressive president of FDR genus may appear in American politics under the current Aquarius period. Bernie Saunders may be FDR reincarnated? However the current Aquarius period is one third the strength and size of FDR’s Aquarius micro-age and overflow. This limits both the degree of progressive policies that will occur and the opposing fascists’ sentiments of conservative groups. However, fascist tendencies will also strengthen in the USA over the coming decade in the current Aquarius micro-age decan and overflow even if Hillary Clinton or Bernie Saunders becomes president. If the world just kept going around in circles, we would have the likes of Hitler and Mussolini appear regularly, but each decade and century pushes the world further into the heartland of the Age of Aquarius, and the astrology strongly suggests that the world is heading towards a more progressive and democratic world. As an example, all OECD nations are firmly democratic. Since December 2014, for the first time in over 7,000 years, the world is in an age, age-decan, sub-age, sub-age decan, micro-age and micro-age decan which when combined with all their respective overflow periods, are ALL in Water or Air zodiacal signs. It is the Fire and Earth signs that breed conservatism while the Air and Water signs promote progressive liberal policies. So while there will be some backtracking, especially in the Second and Third World nations, the world is not speeding towards fascism but towards secular progressive democratic liberalism. The liberal-fascist struggle will be played out mainly in the Middle East, China, Russia and Africa in the coming decade with fascism always the easy option. The current Aquarius micro-age decan and overflow sits under the shadow of the Cancer micro-age overflow (2014 – 2029). Cancer promotes China, Russia, Scandinavia, Canada, New Zealand and much of Polynesia, the Middle East including Greece. These countries and regions excluding Scandinavia, Canada and New Zealand may succumb to backward political developments. Progressive modern countries will be influenced by both sides of Aquarius but fascism needs an undemocratic environment to succeed and these countries are unlikely to succumb to populace brute force over democracy. The revealing years for the current Aquarius micro-age decan and overflow is the overflow period of December 2019 to November 2024 when the era of military coups so strong in the 1960s and 70s (under Scorpio) will again affect less evolved countries. Some second tier countries will make progressive advances and other will turn more to fascism to control their populations. Third World countries will be the most prone to autocratic exercise of fascism. The countries most at risk are associated with Leo as Leo is opposite Aquarius and therefore Leo countries will be either under threat or aggressive. The Leo associated countries also include all of South America plus Bhutan, France (and particularly Paris – the City of Light), Greece, India, Israel and Zimbabwe – though these lists are incomplete. Already Paris has been hit with the Charlie Hebdo terrorist attack. Greece resorted to a democratic defense in July 2015 to attempt to fight off the international bankers. The likely contenders to be caught in the Aquarius net are: Argentina, Bolivia, Brazil, Colombia and South America in general, Russia, Saudi Arabia, Singapore, Turkey and the USA. Singapore and Turkey will be interesting case studies to watch to see how far they may graduate into progressive countries or regress into fascism even though Turkey is an OECD country. Countries that are financially vulnerable under Aquarius are any country associated with Cancer. This includes a significant number of countries with China at the top of the list followed by Middle Eastern countries, much of Polynesia, France, Greece, Iceland, India, Ireland, Mexico, Canada, Russia, and the UK. Countries that can lose prestige in any of a number of ways are those countries associated with Scorpio. Scorpio countries include France, Germany, Indonesia and Japan (though Germany has a strong relationship with Aquarius and therefore avoid any loss of prestige). The Roman Catholic Church’s reputation or status is also awkward in this period as the Roman Catholic Church is a Pisces-Scorpio institution (with plenty of Aries and Capricorn thrown into the mix). The next upgrade of Aquarius is around June 2017 where even stronger hints of what lie ahead should appear. From December 2019 onwards it is Aquarius all-the-way but from June 2022 it will pull back somewhat as the Libra quasi micro-age decan comes online but there is always a sting in the tail of all periods in macro-astrology. The Aquarius micro-age decan and overflow will also archetypally interface in part with the Cancer micro-age overflow (2014 – 2029) because Cancer is anti-authoritarian and Aquarius is revolutionary which means it is usually fighting authority. People from one end of the world to the other will be seeking to break free of out-of-date restrictions and limitations. In response, reactionary forces will institute draconian and fascist’s measures to counter such ‘insurrection’ and the strength of each society will determine which of the progressive or reactionary forces succeed. In some cases it will be the opposite scenario where the revolutionary forces (ISIS, Taliban, Al Quada etc.) or anti-immigration parties will attempt to exert their views upon society and either succeed or fail. The anti-immigration forces will strengthen as the Cancer micro-age decan overflow that commenced in December 2014 ensures 7 years of increased movement of people between countries seeking a better home and lifestyle compared to before December 2014. Another side of Aquarius is excitement. The last Aquarius micro-age coincided with the Roaring 20s and the Jazz Age. The cultural aspects of the Roaring Twenties began in leading metropolitan centers, especially Chicago, New Orleans, Los Angeles, New York City, Philadelphia, Paris, Berlin and London; then spread widely in the aftermath of World War I producing a period with a distinct cultural edge. The French called it the “Crazy Years” emphasizing the era’s social, artistic and cultural dynamism. Jazz music blossomed, the flapper redefined modern womanhood and Art Deco peaked. The era saw the large-scale use of electricity (ruled by Aquarius) plus significant changes in lifestyle and culture. In most major countries women won the right to vote. The spirit of the Roaring Twenties was marked by a general feeling of discontinuity associated with (Aquarius) modernity and a break with traditions. Everything seemed to be feasible through modern technology. New technologies, especially automobiles, movies and radio enhanced the surge of “modernity” to a large part of the population. At the same time, jazz became popular and the period is also often referred to as the Jazz Age. We can expect exciting times ahead under our smaller Aquarius period and perhaps we will see some Jazz musicians the likes we have not seen for decades? The discordance of jazz matches the eccentric nature of Aquarius. Finally, the new Aquarius period will ‘oppose’ the remnant influence from the Leo micro-age and overflow (1985-2000-2014) with the Leo micro-age period proper (1985 – 2000) aligned to the greatest bull market of all times. The first major threat to the (Leo) bull market was the Scorpio micro-age decan overflow (2010-2014) coinciding with the darkest years of the recent Global Recession as Scorpio ‘demotes’ anything associated with Leo. The remnants of the Leo bull market left in the world will get trampled upon by the Aquarius period, especially its overflow commencing in December 2019. This may already be affecting China’s share markets. Aquarius is one of the ruling signs for astrology, the other two keys signs also recognized as being associated with astrology are Scorpio and Cancer. Considering the world is in the most potent Scorpio sub-age overflow (1970-2148), Cancer micro-age overflow (2014 – 2029) and now in the Aquarius micro-age decan and overflow (2014-2019-2024) we can expect some significant developments in the world of astrology, especially in the period 2019 to 2024. As the world slowly creaks towards the strength of the Aquarius Age over the coming centuries, the tide passes over different landscapes, and the main landscape at this part of the Age of Aquarius is defined by Scorpio due to the Scorpio sub-age overflow (1970-2148). Change is accelerated at this time as both Scorpio and Aquarius promote change. Despite the great change forecast for the rest of this century, there is nothing as dire or gloomy as existed in the much of the first part of the 20th century. However Scorpio provides a hint at how to best deal with our time. Scorpio indicates that what is external is vulnerable because the strength lies inside. Scorpio is the time of inner truth and history indicates that in previous Scorpio periods, there were a far greater number of seers, visionaries and promoters of Truth compared to other periods. For example one of the greatest promoter of inner truth (when he was alive) was Jesus Christ who lived almost at the same exact stage the world is in now but in the previous Scorpio sub-age overflow (8 BC – 173 AD). Our 2015 corresponds to year 36 AD. For those worried about climate change and the environment, the world will eventually be saved by the ethos of the new green and environmental movement that grew out of the alternative revolution of the 1960s and 70s at the peak of Scorpio. This will not succeed in the coming decade, but it will eventually succeed. Never a dull moment under Aquarius! Research has found that over the last 2,000 years whenever significant periods are ruled by Cancer, Scorpio or Aquarius, great strides are made in the evolution of astrology.